Over in Vienna, my good cyberfreund Lars has some interesting ruminations on the possibilities for Skype-enabled call shops. I don't know how much our readers in places like the US or Japan can relate to the call shop concept, but despite Vienna's probable whitebread "Sound of Music" image in the outside world, it is actually a modern melting pot, as is London (and also places like Geneva and Luxembourg - believe it or not). Not far from my home in South London, there are numerous ethnic barber shops and internet salons (I wouldn't call them cafes as such) which also offer cheap international phone calls, FAX services, and money transfers to a variety of countries. In this part of London, it tends to be mainly West Africa and Latin America. In other areas it could just as easily be Turkey, Poland, Bangladesh or Vietnam. I guess the point is that, as Skype expands its local termination footprint to make SkypeOut a more economically attractive proposition, the incentive for small entrepreneurs to Skypify their premises will grow (Lars rightly stresses the margin enhancement potential for the shop owner). And it's not just the expatriate market that could benefit. Whenever I am in London's more touristic areas (West End, Kings Road, et al) I am invariably amazed at the sheer number of people I see in the EasyInternetcafes, most of whom seem to be from "developed" markets, many from North America. Easy Group currently has internet cafes in nine countries, and is looking to franchise out to expand elsewhere. If I were Stelios, I'd think seriously about Skyping Niklas to discuss some sort of co-branding arrangement. A Platinum Circle megavalue reader points me to the latest edition of the EC Competition Policy newsletter (see pages 8 - 15), which contains an examination of what sort of public network funding scenarios might constitute state aid. My reading is that this seems to broadly support the open infrastructure model being pursued in the Netherlands. I am told that Telio, the "little Norwegian telco that could," was listed on the Norwegian OTC market this week (Bloomberg ticker is TELO NO). I can't get any pricing data over Bloomberg, but my local sources tell me that the shares are trading in the NOK22 - 23 range, with 17m shares outstanding. That gives it a market cap of NOK374m, or about EUR46m. Crudely, I guess that works out at about EUR1000 per subscriber, if that's even a meaningful measure. What the hell, it's Friday. Stumbled across this via Techspot. Very high quality screenshots of Longhorn. Each day seems to bring another variation on this "cross-border IP incursion as weapon of mass EuroTelco destruction" riff I seem to be working on. Today, speculation that cash-rich Belgacom is going to take out Dutch market disruptor Versatel. Attention to the 300k or so Skype users (my estimate) in Switzerland. You have a new friend, and it's called Swisscom. The company today launched a flat-rate data package for mobile, priced at CHF79, or about EUR51 per month. For this you get 1GB of data inclusive, with a CHF0.50 per MB charge for overage. I think that's still pretty extortionate for mobile data generally, but, as I work it out, a Skype call requires 40kbps up and down, so this 1GB tariff might equate to something like 1,700 Skype minutes, at EUR0.03 per second. Sweet indeed, if we ignore the fact that you have to hold an exorbitantly priced data card and pay a monthly charge of EUR6.50 for a data-only subscription. You also have to be extremely talkative to get through 1,700 minutes. Frankly, I don't see hordes of people rushing to take up this tariff just for the sake of price arbitrage on Skype, but it illustrates the voice pricing compression we may see as data goes flat rate. The company added 95k VoIP subs in the quarter in France, to 245k in total. That works out at about 7% penetration of retail DSL connections. 416k Livebox units have been shipped to date, up 78% sequentially in the quarter. I work that out at about 14k per week. The MaLigne TV product is perhaps somewhat less impressive. To date only 101k accounts are active, and 30k of these are "monoplay" (i.e., TV only) accounts. Ironically, as I was searching in the France Telecom consumer website, a pop-up ad appeared, which was for Club Internet's (that's Deutsche Telekom) special 8Mbps offer in France - EUR9.90 per month for the first three months, EUR14.90 per month thereafter. I am sure the average French household spends much more than that on bread in a given month. Telco mutual assured destruction is upon us! I often use musical references here, and I genuinely and sincerely apologize for the Guns-'n'-Roses reference, but it somehow seems appropriate, at least for telcos, in the short term. The past three days have been somewhat unprecedented, at least as far as I can recall, in terms of EuroTelco carnage. On Monday we had a bombshell from Tele2 (first in the sector to report), which demonstrated that it appears to be competing credibly in a number of key markets, but missed market expectations by a significant margin. The share price is down 8.6% in three sessions. Yesterday, TeliaSonera breached the low-end of consensus (EBITDA in Finland fell by over 50% YoY) and got hammered, and today was another world of pain: two day decline - 8.9%. Today, Telenor shocked and awed with the underperformance of its domestic fixed business and margin softness in emerging markets, and the market drove its shares down 9.4%. That's a helluva lot of value wiped off the sector over three days, but only at the mid-cap end of the market. Tomorrow we have numbers from large-cap name France Telecom, and if it drops a poo-bomb on us, then I really am going to start to think that maybe all these disruptive influences I've been writing about for nearly three years have at last become undeniably evident. One thing France Telecom has going for it is that the company will be reporting based on a radically revamped organizational structure. Yes, the analysts have some pro forma restated historicals to work from, but I am always skeptical when companies change reporting lines (as has repeatedly been the case over the past three years, usually justified on the basis of a "more accurate representation of operations"). I am particularly skeptical when the structural change coincides with significant shifts in market dynamics. My cynical nature leads me to conclude that companies are buying time, but I didn't say that, and you didn't hear it. We analysts generally like to portray ourselves/be portrayed as "industry experts," and no doubt there are a lot of very bright and talented people out there. I do not seek to denigrate their work. However, when I stand behind a podium and speak frankly to people who work in, live, and breathe this industry on a day-to-day basis, and I come away with a sense that we are living on different planets, I worry even more. Maybe it's I who am deluded, but if it's the case that the misguidedly orthodox views of the industry are filtering down to the analysts through multiple generations of spin (as I think is almost certainly the case), with all the distortion inherent therein, no wonder we see such aggressive share price targets, and accordingly see such massive share price falls when things go wrong. Periods like the past three days bring me back to recurring conflicts I have had with our sales team from time to time, and the vague sense of incomprehension I sometimes encounter from colleagues covering other sectors. "Surely there must be something you can recommend within the sector?" is a common refrain. "Well, actually maybe not," is my typical reply, and though it concerns me, developments like we have seen over the past three trading sessions only lend support to this view. To my colleague covering utilities I typically say, "Where would power companies be if there emerged a technology for competitors to supply energy at virtually no cost?" 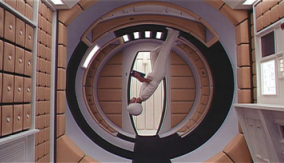 To my automotive colleague I say, "What is the value of the auto industry if we crack the secret of teleportation?" These are patently ridiculous propositions for the industries in question, but in a telecoms context are all too relevant, if slightly exaggerated. Maybe a more salient question generally is, "What if your powerful national brand has its face ripped off by global internet players, device makers, and people you've never even heard of?" I have often made the point to our sales force and clients that traditional telco valuation is a dangerous business in the IP world. We can cling doggedly to comfortable traditional methods, or in a pinch, desperate last-ditch bastions like multiples of net PP&E and other such relics - or we can do the right thing and admit that any valuations we attempt are speculative at best. My feeling is that investor expectations are so low that it only takes one quarter's disappointment to reset expectations to a much lower level, and ultimately this process can be repeated down to near zero. Analysts who might have felt confident in valuing Telenor at NOK 68 - 70 a few weeks back are adjusting to a new reality today, with the share price struggling to hold NOK50. Finding your feet may be increasingly challenging in the world to come, if you have failed to board the ClueTrain. No doubt we're going to see a lot of complicated gymnastics in the quarters ahead, and a lot of smoke and mirrors employed to place a brave face on a fairly grave situation. However, my sense is that the gloves truly are off as of this week, and we may be entering a new phase. For the sake of investors in the sector, and the thousands of people employed in the industry, I hope I'm wrong. Whew, the market really hated the Telenor numbers (stock down 9.4%), and there must be some pretty sore backsides in brokerland given some of the aggressive price targets I've seen just recently. Anyway, Norway did produce some positive news today, from Telio, which is licensing the Xten eyeBeam development kit to develop their own video softphone. Based on Telio CEO Espen Fjogstad's presentation in Barcelona last week, I expect the company must be nearing the 50,000 subscriber mark in Norway (which is huge in a market of 4.5m people), and I am reasonably confident that Telio minutes of traffic are in the 40m range per month. Looking at Telenor's figures today, that would seem to be equivalent to about 4% of traffic on the Norwegian PSTN. We're early into the Q1 reporting season in EuroTelcoland, and so far things are looking rough. Tele2 missed expectations on Monday, TeliaSonera reported numbers below the bottom of the consensus range yesterday, and Telenor has repeated the feat this morning. Our forecasts were towards the more cautious end of the range (based on Reuters consensus), but revenues and EBITDA were still NOK600m and NOK400m short, respectively. That's an undershoot of 4% and 7% respectively. On the conference call just now, CEO Baksaas remarked that the weak showing from the fixed business reflects mobile substitution and "changes in the nature of the market due to the broadband generation." I think the short form of that phrase is "VoIP/IM/Skype." Another phrase used was "intensify operational excellence" in the fixed business, though no specific figures were outlined. I assume that means supersizing some downsizing. This may have been blogged extensively elsewhere, I'm not sure - I've been preoccupied today with the ugly TeliaSonera results and pitched political battles against short-term thinking internally. Anyway, cutting to the chase: if there was any doubt that the handset manufacturers have seen where their future lies, then here are two more pieces of evidence which may put paid to the notion of telco dominance. I'm reminded of the old Batman series, where fight scenes were accompanied by comicbook representations of words like "pow!" and "thwack" - I almost see those same graphics when I read press releases like this. So Telcoman, take that, and that. I also noted with interest some extraordinarily frank comments from Rupert Murdoch in today's Financial Times (page 13 of the UK edition), in which he confesses to "quietly hoping that this thing called the digital revolution would simply go away," and describing himself as "searching for answers to an emerging medium that is not my native language." You can really tell that Sky is in its fiscal Q4, because they seem to be pulling out all the stops in the marketing arena - last week I even saw an independent sales agent with a display set up outside a shopping mall in Camberwell, South London, touting for business on the street like a charity fundraiser. UPDATE - If it's any consolation to Mr. Murdoch, I think we're all pretty much in the same boat. Consider trying to define these two fabulous "digital revolution" examples in terms of the traditional media landscape (both via the always outstanding Near Near Future). Are they games, musical/art works, trivia hunts, cartography projects? They sure ain't television. Then again, a decade ago, what would we have made of notions like "continuous partial attention," MMOG, blogging, Skype Mega Chat, reality TV or any of the other staples of our daily lives? This comes my way via the activist sphere. Sounds like an interesting event, and potentially one capable of influencing OFCOM thinking, if the right people turn up. Best of all, it's free. Many of the best things are. Dude, where's my SkypeOut credit? "My account was being drained by calls to Afghanistan of all places (perhaps CIA or AlQaeda?). Skype support was clueless and essentially blamed me for being careless with my pin. Needless to say, I don’t use SkypeOut anymore. When they fix their security problem (after they acknowledge they have one), I will reconsider." This may not impress anyone, and maybe I am just sleep-deprived and missing something, but this is what just took place. The machine I am on now has had Skype uninstalled for various reasons, but I just remembered that I have Skype (the actual application, not the executable) on my USB bar. I was able to launch it from the USB bar, and it prompted me to log in. The client opened and connected. While it lacked some functionality (for example, I couldn't see all of my account details, my contacts, or get the callto:// function to work), I was able to make SkypeOut calls, and also call and apparently initiate chats to contacts showing up in my call history window. I also called my SkypeIn number, which rang, and left myself a voicemail. I then duly got a notification of a voicemail. UPDATE: I just repeated the exercise on a machine which has never had Skype installed, and it couldn't log me on. It's obviously looking for something which isn't there, which makes me ask, if I have uninstalled Skype from the machine where it did work, what's causing this? Maybe my uninstall was incomplete? What I'm really trying to get at is, is there a way to get a fully functioning version of Skype on a USB memory device - i.e., another angle on "pocket Skype"? And could such a version of Skype be used on a virgin PC without leaving any evidence? UPDATE 2: I just searched the Skype forum, and whaddayaknow, someone posted this just recently. UPDATE 3: It just gets better and better. There is a poll on the Skype forums which shows that users want such a device. UPDATE 4: A Platinum Card value reader writes in to say that he regularly uses Skype from a USB stick on his corporate laptop due to IT policy issues. In contrast to the highly technical solution outlined in the link in Update 2 above, in his case he launches it and it 'just works'. It's telling that the oil advertising revenue growth is below 5% YoY, while telecom is in the 5 - 10% range. Both are commodities, but oil has pricing power based on a very real scarcity. Why advertise it? It sells itself, at any price. Meanwhile the electronics and telecom folks are going great guns to push their commodity products and services, where the term "pricing power" prompts sniggers or fond memories of days gone by. Cingular, LG and Texas Instruments alone accounted for over a quarter of WPP's new billings in the quarter, or $350m. A personal observation is that Orange, Vodafone and Sky between them seem to have bought most of the outdoor space in greater London, HomeChoice seems to be doing a lot of banners, and Barcelona Airport should be renamed Movistar International, as far as I could see on Tuesday when I flew out. A new reader points me towards Morgle, an online business directory service which looks to be attempting to harness the power of VoIP, and Skype in particular. I searched under the keyword "Skype" and found (note that the page may look different when you view it): Bill Campbell of Skype Journal, the Skype Answering Machine, a solar power specialist in Suzhou, the Online-Callcenter in Christchurch, and a hospital/nursing home bed maker in Swindon U.K. (which has quizzically used a callto:// which appears to trigger a SkypeOut call). I wonder how long we have to wait before Skype callto:// URIs start popping up on Google, or even in mainstream directory services. Eventually it's going to be big enough that the information aggregators will have to get to grips with it. Back to hospital bed maker in Swindon for a disturbing thought. There are a lot of people out there who make a nice living from hornswoggling unsuspecting users into calling premium rate numbers. The virtue of Skype is that it is a global service and to great extent makes a nonsense of national market definitions. One exception, however, is when it touches national numbering plans. A consumer in the UK might recognize certain number ranges (0870, et al) as being premium rate, and be wary of them. However, users outside the UK would be easy prey if someone had the wrong intentions, or if they weren't thinking straight. I could easily make my callto:// on this website my UK mobile number, but any naive Skype user clicking on this would be very sorry they did. As Skype gets bigger and better, issues like these are no doubt going to raise some consumer protection and regulation issues at the national level. UPDATE: I now understand that the company in Swindon accidently included their FAX number, and shouldn't have been classified as a Skype contact. Nevertheless, it illustrates my point - a simple mistake could cost the SkypeOut user some money, not to mention the conscious trickery of an unscrupulous person. Quote of the day from yesterday - from the CEO of telecoms network testing specialist Spirent, which 75% of analysts rate positively, and whose share price fell 21% on yesterday's trading statement: "These problems were not unexpected, but the speed at which they have happened took us by surprise." Spooky. Just watching the CNBC people gloating about how well Google has done in its Q1 numbers, my natural reaction (as an American ex-pat of 10 years) was to think "you guys think America is the internet." Well, as we say down South, "shut my mouth." Google local in a truly local UK context looks to be pretty kickass, and I can personally vouch for that. However, as far as I can see, the short-term threat to players in the directory space seems to be limited to the UK and other English-speaking countries. Longer term, I imagine it's going to take a lot of investment and work (like hiring people with language skills and local knowledge) to get to grips with markets like Germany and France, let alone China and India. A commuting mishap left me killing time on the platform of an unfamiliar station out in suburbia this evening. Gazing to the platform opposite, I saw this ad for the fictional Wasp T12 Speechtool handset, a key prop in the Nathan Barley series on Channel 4 (which I have blogged about previously). This is real guerilla marketing - there is no mention of the show or any C4 logo anywhere. In this part of London, where there are lots of people reading little newspapers with big headlines, I noticed more than one person looking at this and trying to figure out if it was real or not. Sad comment on telecom marketing (and, I guess, on the show's viewing figures) that most seemed to have great difficulty in working it out. I imagine the realworld (a term I use loosely) handset makers have enough on their plates without having to deal with non-existent competitors - particularly ones which promise "TV cast hijack function," "text abuse dictionary" and "twin MP3 turntables." I must go into Carphone Warehouse and ask for a Wasp T12, and see their response. Earlier today I spoke with an uber-platinum value reader, who commented that recent industry conferences have revealed the sheer prevalence of obsolescent hardware in the hands of the average telco employee. Aged, battered laptops are common, and for at least one carrier, Word 97 is apparently the corporate standard. We both concluded that this may contribute to some of the apparent befuddlement we witness when confronting telcos with some of the threats which may bring them to their knees. While the telcos grapple with their own internal issues and their very size and complexity, the broadband consumer may be at least one technology generation ahead of the service provider’s people, which is a very real risk in terms of understanding the customer's point of view. Take Richard Stastny’s recent experience. Sunday he posited the idea of integrating Skype user IDs in ENUM, and by Thursday someone had done it, incorporating the Skype callto: URI in an ENUM softphone. More power to us, whatever it is we’re doing! Popular Telephony yesterday announced the release of Peerio Data, a distributed storage solution employing the Peerio protocol, and for my part I'm curious to see how this concept could also be applied to media distribution - no doubt there is something cooking on that front as well. As this is VON Canada week, I think it's safe to assume we can expect some further announcements, though exactly what remains, as always, a mystery. Municipal fiber project Citynet Amsterdam has released documents for the European tender for construction of passive infrastructure, available upon request. Let's get digging. As if he didn't have enough to worry about in the Netherlands, John Malone is apparently now concerned about this internet thing. I think I, and several thousand others, have been consistently saying for some time now that trouble was brewing (I seem to recall writing 130 pages on the issue a couple of months back), so I don't know exactly who he is warning. new abbreviation, SPIT -- for Spam over Internet Telephony. And so we wondered about who creates all these, and had a go ourselves, but came up only with VOMIT -- Voice over Mobile IP Telephony. Any better contributions gratefully received. In this era of pervasive communication, it's probably best not to crow about your gross margins in one place and expect that the information will be confined to the original audience. I've given quite a lot of airtime recently to the mounting anti-Malone insurrection in the Netherlands, which seems to have been sparked off by his recent interview with the Financial Times. Since this interview, which claimed that "in the Netherlands where cable TV is like a utility, we make a gross margin of 75 to 80%," the Dutch press has been nipping at Mr. Malone's ankles like a lot of angry little terriers (or being Dutch, extraordinarily tall terriers), and they show no sign of stopping. Today's Volkskrant contains another hit job, in which the reporter has done some digging into previous OPTA filings to come up with a ruling on pricing between Canal + and Multikabel (owned by Liberty) mandating a EUR0.11 per channel per month cost. Based on this, the reporter arrives at a monthly content cost per subscriber of EUR3.30, leaving readers to question why the average household is paying EUR15 per month for basic cable. And on page 7 it's the opening, half page broadsheet, with a large color picture of some guy shoving cables in a duct." The Financial Times seems to have turned up the gain on its radar and is giving more space to market disruption themes. Yesterday’s IT Review supplement had as its headline story “It’s the internet, but not as we know it.” Must say it was refreshing to see names like Gawker, Six Apart, Joi Ito, Bram Cohen and Skype all on the same page, and to know that a few thousand FT readers were having their world rocked at that moment. Today there is a long piece on Open Office. What’s the world coming to? 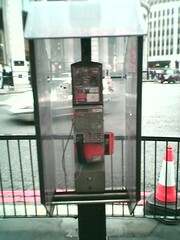 This is a familiar site to Londoners - the abandoned and decaying InterPhone call boxes dotted around London, perhaps one of the poorer examples of facilities based competition from the 1990s. I have recently seen some guerilla Wi-Fi folks suggesting that these could be used as sites for open nodes. This brings a new meaning to the concept of co-location. A gallery of other forlorn and unloved call boxes is here. I don't think this is the kind of stupid network we had in mind. I used to see a lot of this in my neighborhood back in NTL's darker days, but not so much recently - until this morning. 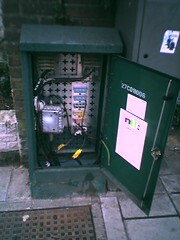 If anyone from NTL is reading, this box is near the corner of Lordship Lane and Barry Road in SE22, but if you don't hurry you may find someone living in it when you arrive. Lest my recent focus on Skype be misconstrued as being blinkered to reality, here are some tidbits which highlight the challenges of keeping such a large and rapidly growing user base happy, while fending off challenges. We are emailing you in regards to the Norwegian SkypeIn number that you recently purchased. As we explained yesterday due to technical reasons these numbers are currently out of service and will not work for incoming calls. Unfortunately we cannot guarantee when the numbers might become available again and therefore we have to reverse the purchase that you placed and cancel the number. We have refunded the entire purchase price to your credit card or Paypal/Moneybookers account.We sincerely apologize for this inconvenience and as compensation for this we are adding 10EUR SkypeOut credit and 3 months of Voicemail to your account. We will also notify you via email as soon as we have Norwegian SkypeIn numbers available again so that you can place a new purchase. "A friend of mine had his SkypeOut account cleared out recently." I don't know if this is a case of some sort of outright hack, or merely an example of what Steve Kennedy has highlighted about SkypeOut dormancy policy. I suspect it's the latter, but I am trying to find out more background. UPDATE: My source reports that his friend's account was indeed compromised, and that calls were made to Australia. Lastly, another platinum value reader from Norway claims to have some insight into MSN Messenger numbers for the country, which he reckons are in the vicinity of 600k on any given day. This is roughly equivalent to 100% of broadband accounts in Norway, though obviously many users will be on narrowband as well. We can read this in one of two ways - either there is a massive opportunity for Skype migration from legacy IM (as a young reader told me recently - "all my friends went directly from ICQ to Skype"), or there is a massive inert legacy IM base out there waiting for a Skype-like experience to be delivered by MSN, Yahoo! or AIM. My money (well, 50p or so - we are in a deflationary industry afterall) is on scenario 1, but we can't rule anyone out. Apologies for the title, probably incomprehensible to anyone outside the UK. Anyway, my main point is to highlight a comment made by Viatel CEO Lucy Woods on my panel at ECTA yesterday, in relation to Viatel's white label broadband deal with Manchester United. "It won't be a minute before they're doing VoIP too, and we expect a number of other Premiership teams to follow suit." One million registered users of the team website is a nice base to start marketing to, and the options for promotions are great. "Receive discounts on merchandise when you make x minutes of calls," or perhaps more likely, "receive free minutes when you purchase a team jersey." Whose disruption is it, anyway? Yesterday I moderated a marathon session on disruptive technologies and business models at the ECTA conference in Barcelona. For those who don't know it, ECTA is the industry body representing competitive carriers in the European market - i.e., the previous generation of infrastructure-based disruptors. This was an interesting situation to be in, for as one friend noted, we were in pretty salubrious surroundings for a bunch of disruptors, and the "pinstripe quotient" was quite high. My panel participants all did splendidly, particularly during the moderated discussion and Q&A sections, despite being from fairly disparate backgrounds: Paolo Campoli from Cisco, Lucy Woods from Viatel, Simon Peachey from VideoNetworks, Michael Jackson from Skype, and Espen Fjogstad from Telio. All the presentations were very strong, but I thought Espen's in particular was very insightful, spending more time on the industry macro issues giving rise to a company like Telio, than on the company itself. Moment of the session, from my point of view, was some fairly impassioned questioning from a representative of a large European cable company. "We have invested heavily in a network and have to guarantee we can service the debt associated with that investment, so why should we tolerate services like Skype and Telio on our network?" I thought the responses from Espen and Michael were diplomatic, but unequivocal - (I paraphrase) these are the sorts of developments inevitable in an IP world, and you should have been prepared for them. On the one hand, they may serve as accelerators for your sales of broadband connections (a message I have been hearing from Vonage and others in the space since the beginning). On the other hand, the other impacts they may have on your business are down to your cost structure and strategic positioning, which is nothing to do with us. My unstated thoughts at the time were: "the Skype client assigns itself a random primary IP port, with port 80 and port 443 as alternatives, so exactly what do you propose to do about it in any case? It's not what you want to hear, but the only option is to learn to deal." I unfortunately missed what promised to be a very interesting presentation from Andrew Szelke of Bridgeport Networks today, as I had to be back in London. Based on the slides he showed me, I imagine it was a scorcher. The other highlight, for my money, was an industry lawyer, who walked up to Michael Jackson of Skype at lunch, and offered his heartfelt thanks for the service. "Roaming rates in Spain are extortionate, and I've been Skyping people all morning long from my iPaq." It's always painful to see the dismay and utter disbelief which greets the passing of an institution or an industry, especially in the reactions of those caught up in it. We are witnessing this in the case of Rover now in the UK, and the very idea that an institution like GM (or Ford, for that matter) could have wound up in such trouble probably inspires incredulity in many people, not least of all its employees. "I knew things were tough, but I never imagined things could go so wrong so quickly." This seems to be a common response. Several years ago, while in Tokyo on a marketing trip with a former employer, I met up with a Japanese colleague for a drink. Walking around in the financial district at night after one too many, we both stopped to behold the darkened gargantuan monolith which was the Yamaichi Securities building (this being not long after its calamitous bankruptcy and closure). My colleague stared in blank awe, and remarked "Iya, are wa rippa na biru datta na" ("Yeah, that sure was an amazing building."). His use of the past tense was telling - the physical infrastructure was looming there before us, but the 100-year old institution (in a Japanese context probably as venerated as Goldman Sachs in the US) it served was not, so in his mind it was some phantom vision from the past, which no longer existed. As two members of a company about to be sold down the river, this was a chilling moment for us both, and I've never forgotten it. Back to the present day, and poor old telecom. 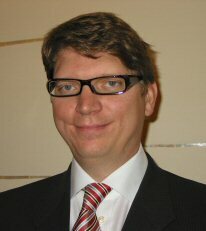 Today I presented at the Marcus Evans conference on Strategic Pricing for Telecom Content and Services in London. I agreed to it months ago, and as the date approached I found myself a bit uninspired. Then, a few weeks back, I saw the program, and noticed that there didn't appear to be much in the way of disruptive stuff on the agenda. I got the sense that it was going to be largely business as usual, and this was just the inspiration I needed. I could have talked about a variety of issues (believe me, I wanted to), but in the end decided to try to hit the audience (and organizers) where they live, and devote my entire presentation to Skype. My introduction included a statement of concern that too often the industry works from the premise of what it can deliver, or needs to deliver, rather than what the consumer actually wants/needs (and my final slide was Richard Stastny's list of ten lessons from Skype, with special emphasis on "you can compete with everyone, but you can't compete with your customer"). I also questioned whether perhaps players in the industry are too focused on killing one another, while ignoring some significant issues lurking in less obvious (to a telco) areas of the market. In other words, as I've been saying, for as long as I can remember to anyone who would listen, if you're a telco, then your radar must be attuned not only to your competitors, but also to the agendas of Bill and Steve, Sergei and Larry, Terry and Jerry, Niklas and Janus, and even some single-name sources of anxiety. One slide of my introduction contained a quote from Edgar Allan Poe's "The Masque of the Red Death". For those who haven't read it, basically the idea is that a decadent regime is hiding behind thick castle walls from a plague which is devastating everyone outside, diverting itself by having a masqued ball. Just keep dancing and we'll be fine. An interloper appears, and the king demands that he be unmasked, but the intruder (whether he is merely a carrier of the disease, or embodies some karmic revenge, is unclear) turns out to be the harbinger of doom, already among them. Okay, my use of it was partially tongue-in-cheek, but I had a serious point to make: your assassin is probably already inside the castle walls and you may not even know it. call with executives from the mobile unit of incumbent B. Incumbent B decides it needs to include a colleague, also on Skype, and conferences him in. They thank him for agreeing to join, and ask him where he is and how he is connected to the internet. He responds, "I'm on the road, using our 3G data card on my laptop." There follows an unstated Homer Simpson-esque "Ddoh" and many seconds of silence as the participants absorb the implications. I wouldn't say that anything I said today would be new or unfamiliar to readers of this blog or others dealing with related issues. However, for my audience, the people formulating and guiding Euro telco pricing strategy, much of it seemed to be completely new (I was astonished to see that precisely none of my audience had clocked the Skype/Motorola announcement, despite 60% of them being from mobile operators). On the one hand, given my bearish view of Planet Telco as a world governed by silo mentality and overburdened with organizational complexity, this was hardly surprising. On the other hand, as a human being, I am more concerned than ever about the human implications of what lies ahead. Over to you, Mr. Darwin. A point of clarification. I have seen the $130m valuation attributed to me, when I was actually using this figure from another blogger as a point of departure. I thought the implication of my post was clear - that $130m might be a ballpark figure for potential of the SkypeOut business alone - but that there was a lot not captured by it, i.e., SkypeIn, licensing revenues, revenue shares, the "option value" of a community this large, and other intangibles. My gut feeling is that a figure 3 - 4 times this might be more appropriate, but that the issue won't be relevant until the business is much bigger and more mature. Noticed this on the London Underground today. It's a Viacom lighted sign with an infrared port embedded in it. 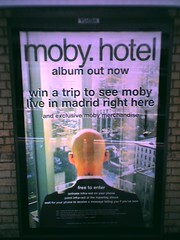 Passersby can activate the infrared port on their handset, hold it close to the sign and find out if they have won a trip to Madrid to see Moby, apparently via an image displayed in their photo gallery on the handset. Didn't work for me, but maybe I was just another loser. The board makes the point "No data is stored on this device and it is absolutely free." What, no premium rate text-based revenues from the campaign? Where's the fun in that? An uber-value reader in Germany points me to the MD 95500 from German company Medion, which comes preloaded with Skype. The brief description here does not list it, but click on "Animation zum MD 95500" for the Flash tour, and then click on "Ausstattung," or look at the HTML version here, where it is all-too-clear, and apparently includes 120 free SkypeOut minutes. A reader contacted me with the question: what do you reckon Skype is worth? Coincidentally, Rodrigo has had a crack at the answer in his interesting blog. He comes up with a putative figure of $130m, which I work out to be about $130 per SkypeOut customer. The problem is we don't have any way of knowing what the average ARPU per SkypeOut user is. I have spent EUR15 to date, but then again I use Skype almost exclusively to communicate with other Skype users. More intensive users, especially highly nomadic individuals, would probably generate an annual ARPU of $75 without much effort. All-in-all, if SkypeOut ARPU across the 1m user base was on the order of $40 per user, then a $130m valuation would be slightly over 3x annual SkypeOut revenues. By contrast Yahoo! currently trades on just under 13x prospective revenues, and that's after some fairly savage share price performance in recent days. It is also important to remember that we need to take into account SkypeIn revenues (I am happy to pay EUR10 per quarter for a US number, but I would be surprised if Skype was paying more than $2 - 3 per quarter to supply it), licensing revenues, etc., for which we have no data points to work from - yet. When they become available, we'll be able to put more meat on these bones. UPDATE: Someone thought it might be a good idea to remind readers that Skype is in fact listed in Luxembourg, just to avoid any misunderstandings. I assume that the mystery company referred to above is either a) a legacy registration from 2003, which was never followed up on, or b) someone infringing Skype's trademark. A valued reader in Denmark contacted me to say that financial paper Borsen ran a story saying that incumbent TDC only generated DKK1m (EUR130k) from its 500 commercial hotspots in 2004, which works out to be about EUR20 per month per hotspot. I can't find this anywhere online. If anyone can help I'd really appreciate being able to back this up. A mega-value reader alerts me to this. Dutch broadband troublemaker Versatel has decided to jump straight to 20Mbps at an introductory price of EUR39.99 per month for those who sign up before June. And they're throwing in Dutch Premiere League live matches to boot. The article points out that the price is half what UPC charges for its 20Mbps service - without the football. I just noticed on the Skype forums that a user in Mexico suspects that Telmex is blocking access to the domain www.skype.com. I guess that's one way to stop it - prevent people from even going there in the first place. Maybe it's time to Torrentize Skype distribution? Skype should pass 100m downloads today. Had some very interesting meetings and phone calls today. Firstly, one of my mega-value contacts arranged to introduce me to management of a UK tech company, which recently re-evaluated its cellular phone spend and decided to opt for Skype wherever possible. Apparently, even after opening an overseas branch office, the company's overall telecom spend has gone down significantly relative to the levels it experienced when it was a pure UK operation. I hope to have a detailed piece on this in the near future. 1) Parts of this company have embraced Skype wholeheartedly as a productivity tool, and love it. 2) Within the next year we will see relatively high-spec smartphones made by (apparently) unlikely (but well-respected) manufacturers at a price of around $50. I know it sounds crazy, but they were adamant, and I believe them. Eurotelco mutual assured destruction has started in earnest: EUR350m in tangible investment over three years, plus EUR150m in marketing, to carve out a meaningful place in the bloodbath which is French broadband. Deutsche Telekom, if you'd like to step in at this point with a bid for Iliad (to save my monthly performance numbers), I'll kiss you - all 200,000 of you. A Norwegian super-value reader alerts me to this story. Broadcaster TVNorge (a unit of SBS) commissioned an independent study of viewers, to assess BitTorrent use. 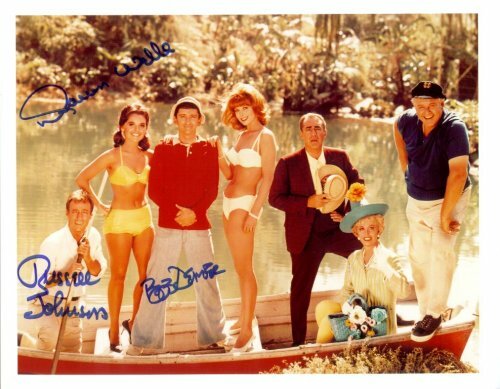 Out of a sample of 1,000 persons, 9% claimed to have used BitTorrent, and out of that group, 8% said they had downloaded a SouthPark episode in the past month, while 18% had downloaded The Simpsons, and fully 38% had downloaded an episode of ABC's dystopian take on Gilligan's Island known as Lost. This highlights a point I've raised before (both here and in "proper" research): the cracks in traditional industry structures expand to form gaping canyons in the IP world. Licensing, royalty collection, pay TV windows, many of the mechanisms that make the entertainment world tick, are based on notions of national borders and markets, which are made a nonsense by IP. The European market is a huge consumer of American TV, and doesn't have the patience to read about interesting shows online and then wait for the calendar to catch up with the arcane licensing regime - it will pursue its own brand of time-shifted viewing. Today I had a couple of "cold" contacts via Skype, one from the regulatory affairs manager of a UK ISP, and another from a sell-side analyst at an independent firm. The former was an accident. He inadvertently hit my "Click-to-Skype" link (for those who don't know, it's simply 'callto://Skypeusername' - and makes me wonder about the scope for future abuse, e.g., people posting links like 'callto://tonyblair'), but we subsequently had a fruitful chat. The latter contact was intentional, initially via email, then migrating to Skype. The sell-side analyst is a name I know from many years back, though we have never met (I generally tend to shun the analyst circuit as a dry well when it comes to the issues I focus on - this may be unfair on my part, but has done me no harm to date). He told me that, not only is he able to use Skype in the workplace without fear of recrimination, but his firm is teetering on the brink of migrating to Skype en masse. There we go - when financial institutions in the hallowed City of London, retrograde in almost every other respect (family-friendly work practices, IT paranoia, macho work culture, management control, you name it), adopt Skype, that is truly something compelling. A momentary break from the apocalyptic for some harmless nostalgia. I found this in the garden shed today. 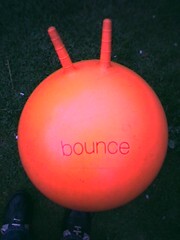 It is a space hopper (hippity-hop to the Americans) which I got from Orange back in 1999 in exchange for some loyalty points I had on my account. Orange used to give away all sorts of quirky things. I recall that one prize for people who had amassed a lot of points was to have a caricature drawing of yourself done in a private sitting by a professional cartoonist. Cellular penetration was a lot lower back then, and Orange was a really cool, imaginative brand, with a genuine sense of humor. UK residents, or others familiar with Orange during the period, will look at the single-word instruction on the object (characteristic of their marketing at the time), and smile with fond remembrance. I don't have a huge number of reasons to gloat on the stock selection front (as our upcoming Global Monthly may illustrate), but I'm still happy with the decision to load up on advertising-related names when I see things like this. Vonage ranks third again in US web impressions, losing out only to consumer finance and online DVD rentals, and beats the pants off SBC. Oh, and lest I forget, Firefox had nearly 2.7m visitors to the site in March. I wonder what Mozilla's global advertising budget is? Found this courtesy of HK's blog in Japan. It's in Japanese, but fortunately I read that (at no extra charge to you dear reader, though getting there caused me great pain). A company called Sofnet Japan, which has an expanding national network of pay-as-you-go internet kiosks, is to introduce Skype (look at the photo - is that a Cyberphone?) at three of its eight locations in the JR (Japan Rail) station in Hiroshima. Depending on how that goes, they may do more. Now that Skype allows centralized storage of contacts (and you can log into a client as another user), it's the new Hotmail. I wonder how long we'll have to wait to see this sort of thing in the investor relations arena? Maybe the guys over at 173DruryLane can sell their blog to Sainsbury's? One feichang hao reader wrote in to express concern that I might have been talking about downloads rather than users in my previous posts. For clarification, the data I received contained actual user numbers, which I am not at liberty to disclose. If I gross up the implied total user base on the basis of one country's user number and the share of total (let's say the US), then I get nowhere near the total download figure. Therefore, I conclude that these are real users. I'm trying to confirm the basis of definition and calculation with Mr. Z, but I feel confident in saying that, as a conclusion, there are a helluvalot of users sitting on Europe's broadband plant, and judging from the telco traffic to the site today, this seems to be something of a concern. If there's a Mission Control for the telcos, it's time to open up another box of doughnuts and get out the sliderules - it's going to be a long night. Pairing the Skype numbers in the preceding post with the global broadband stats we have to hand, it looks as though Skype penetration of broadband accounts is well over 20% in Benelux, the Nordics, and Switzerland, and in the high teens in France, Germany, and Spain. Still, it could be worse. I come up with a number north of 50% for both Brazil and Israel, and in the 40's for Taiwan. Stumbled across this map in an interview with Cybergeographer Martin Dodge last week. Totally unsurprisingly, the infrastructure of the net is heavily concentrated in rich nations, but it's interesting to ponder how the balance of content is going to change in the course of the "wedia" phenomenon, and the general cataclysmic shifts (thanks for the pointer, JD Lasica) in media creation and consumption heralded by IP, and supported by broadband growth. As a possible indicator of things to come, have a look at the recent breakdown of Skype users by country (top 20), which Niklas Zennstrom very kindly sent me this morning, and contrast with the previous rankings and percentage contributions (in parentheses) from October 2004 (keep in mind that absolute user numbers have at least trebled in many countries since the previous reading). Parts of the Skype cybermap match what we know about the web's existing structure and power laws, and parts surprise. Look at the representation of Poland and Turkey, the two fastest-growing broadband markets in H2 2004, and also the impressive growth of China (wait until broadband development in India really picks up). For all this developing market growth, the highest absolute growth since October came from Spain (4.6x October's level), Italy (4.2x), Japan (3.9x) and the UK (3.8x) - all wealthy markets (but hardly at the cutting edge of the internet, or of global entertainment content, for that matter). Conversely, Denmark, a very early adopter of Skype (in the very early days I believe it was the largest single country for a short period of time), has found itself swamped by growth elsewhere. I was observing a blogging moratorium over the weekend and offline yesterday, but I noticed this article from last Friday with interest. Media buyers in this survey are clearly feeling pretty bearish about terrestrial broadcasting and three notable names expect Freeview to outstrip Sky within three years, in line with my own bearish views. I would love to see the respondents' underlying assumptions about future television viewing generally, as I assume this sort of survey is carried out from an industry silo perspective. I am taking part in two conferences next week, the first being the ECTA conference in Barcelona, where I'm moderating a panel on disruptive technologies and business models on Tuesday, the second being the Marcus Evans Strategic Pricing for Telecom Content & Services conference in London on Wednesday, where I will probably upset some people. Gary Lerhaupt of Prodigem pinged (pung?) me to alert me to the new torrent marketplace he has set up. This allows independent publishers to set prices for their work, which may now be licensed under a newly-added copyright mechanism. A sample torrent is here. I'm very impressed with Prodigem (BT users can view my poorly shot testimonial here), though I remain convinced that, given all the moves being made by the internet majors in beefing up their blogging/photo-sharing tools (and the growing momentum of "wedia"), the concept is bound to inspire imitation at major league level. I just received this press release, which intrigues me. A mutual acquaintance introduced me to John Petrillo when I was in New York last September, and we met up for a couple of drinks to discuss disruptive technologies, and in particular the project he was involved with at the time - MeshNetworks. Now I'm really curious to see what IDT (and I guess by extension, Net2Phone) have up their sleeves. We've given a lot of coverage to the anti-coax backlash brewing in the Netherlands, and a mega-value reader points to this update: the head of national comms regulator OPTA is talking open access and price controls for large MSOs, though he stops short of defining what "large" means. As the largest (38% market share), UPC certainly should qualify. This market may end up giving us the first case of a telco unbundling cable lines. UK Online has fired the opening salvo in the UK's impending broadband price war. Service terms are relatively attractive given the increasingly draconian bandwidth caps being imposed in the market, and at this price I'm seriously beginning to question my loyalty to cable, though they have me bundled into a corner for now. Richard asked the question earlier in the week and was widely trackbacked, and here's a couple of more datapoints in answering the question. Verisign thinks there are 900m internet users globally, and Point Topic counts 150m broadband lines (registration required, but free and well worth the effort) at the end of 2004. At c.30m registered users, Skype would appear to have penetrated 20% of its addressable market, and with around 2m concurrent users, more than 1% of the world's broadband population is running Skype at any given time. What's more, if the 155m user figure for MSN Messenger in this Financial Times article is correct, then Skype is ahead of MSN in terms of addressable market penetration, and in a much shorter period of time. I'd call that a tipping point. UPDATE: In the time it took to visit the restroom and get a cup of coffee, an astute reader has chimed in: "May be worth bearing in mind that Skype's addressable market (& MSN's for that matter) is quite a bit more than the 150m broadband subscribers (probably ADSL + cable). It also includes businesses, govts, schools/universities, cybercafes etc with leased-line or other fast, shared connections." True enough, and while my market definition perhaps overestimates the market penetration, my reader's response clearly highlights the greater potential. Andy gives a preview of AOL's US VoIP launch and promises more details later today, but being the two-headed monster it is, AOL Germany has let the cat out of the bag a bit earlier. The Teutonic iteration is an ATA-based service, with some fairly aggressive pricing, at least versus DT's headline per minute pricing: no subscription for basic use (DSL subs with access from another provider have to pay EUR2), EUR6.90 for unlimited weekend calls to fixed numbers, EUR19.90 for unlimited any-time, and the per minute charges for calls to fixed line are right at the bottom of DT's current undiscounted price range. I always like to keep an eye on where people are coming from when they stumble into this no-frills site, and that includes search results. Usually, they're fairly tedious, and sometimes mildly interesting (as when I got a slew of "Vonage IPO" queries a few months back), but this evening I got a first: "IKEA MVNO." I like it - care for 100 free any-network minutes with that sofa? "I just want to tell you that I have signed up for Telenordic's GlobalLink service and tested it.The service offers a fixed rate of NOK 2.99 per minute to basically everywhere. It is a 'call back' service where you call a number in Norway and hang up five seconds after initiating the call (just enough time for Telenordic to register the cell phone number you are calling from). Immediately after hanging up, Telenordic calls your cell phone and a machine asks you to enter the number of whom you want to call. Then, a call is set up and charging commences once the called party picks up. For many handsets (it appears they are all(?) running Symbian) you may download a GlobalLink client application. 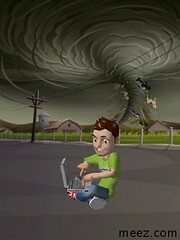 I did this on my SonyEricsson P900. The client simplifies the calling process: basically you just enter a number or click on a contact in your phone's contact list and all the call back-stuff is taken care of behind the scenes. I tried clicking on an entry in my contacts list who lives in Canada and her PSTN-phone started ringing after, say, 10 seconds. Everything worked fine. My wife has relatives in Pakistan who own cell phones. I will ask her to call them when she comes home to see how that works (I don't speak Urdu and they speak neither Norwegian nor English so I cannot call them myself :). Calling a cell phone in Pakistan is among the more expensive calls one can make from a PSTN phone in Norway. We always try to use SkypeOUT or other VoIP softphones, but quality varies a lot and often we have to use Telenor PSTN (which always works, but their rate is NOK 17 per minute--don't know what the Telenor Mobil rate is, but it is probably astronomic)." A mega-hyper value reader points me to the introduction of flat-rate VoIP calling from mobile-to-mobile to any country for NOK2.99 per minute (EUR0.36), from Telenordic. If I'm reading this article correctly, a call from Telenor Mobile to the UK costs NOK7.49 (EUR0.91) per minute. Will look into this one in greater detail. Got my copy of the Eurescom Message this morning in the post, and it contains this comforting message for telcos - the stupid network is just a myth. Whew, thank God for that. I thought the sector was really in trouble for a minute there (UPDATE: I enjoyed forwarding this to Martin - I could hear him snarling all the way from Edinburgh). My friend Richard seems to be saying something ever-so-slightly at odds with this view in this strong post here (I like his point 10: "Be scared", and also his observation that a lot of the best and brightest in the industry are still in the dark about things like Skype. I have to confess that I rarely come into contact with industry people who are the in the dark about Skype these days, but I know Richard has deep and far-reaching roots in the industry, so his assessment is all the more chilling.). Following on from last month's Voice Engine for Symbian announcement, Global IP Sound is at it again in the mobile field, this time with OptiMobile of Sweden. OptiMobile has an interesting management lineup, as well as investors. This is the name of a strange current BBC series which aims to ironically capure the spirit and look of the various futuristic science programs which so enthralled viewers in the UK and elsewhere in the 1970s and 1980s. I'm not sure I fully understand the motivations of the creators, but one strong underlying message I get is that trying to predict the future is folly. This leads me to an unfortunate commercial I saw last night for BT Broadband, in which a pair of grandparents, eager to share photos of their grandkids, inexplicably approach a woman in futuristic garb reminiscent of the stewardess in 2001: A Space Odyssey, who stuffs their photos into a giant pipe and off into the cloud. Fabulous. The received selling point is that BT Broadband leads its customers into some magical world where their futuristic multimedia dreams come true. Fair enough, you couldn't do these things without a fat-ish pipe, but the tone of the commercial, as I interpreted it, was that BT is somehow actively involved in facilitating photo sharing. This is a bit like your electrical power company claiming to have made your family Christmas merely by giving you the means to light up your tree. I think the more likely scenario is that the grandparents approach "futuristic lady", who installs the big pipe in their house and disappears, never to be thought about again, unless she messes up their bill at some point in the future. To expect that she retains any position in the chain beyond crude enabler of access is, frankly, naive. Recently my mind keeps coming back to the comment from a reader in industry in response to this recent post: "We are doing a good job of keeping our eyes on the ball, but I am worried that the consumer may be playing something else than ball." Indeed, catching up on my blog reading today, I have come across some amazing things which seem to bear this out, via a blog called pasta and vinegar (and this too), J D Lasica's blog, and Dan Gillmor, not to mention the Skype Journal (are these men on fire, or what?) observation that Skype awareness is significantly accelerating. How much clearer can the message to the telcos be? Look around you. KPN and T-Mobile have been awarded the 26GHz licenses in the Dutch market after an unnamed third bidder dropped out of the process. My barbaric machine translation suggests that T-Mobile walked away with 2/3 of the spectrum on offer. The licenses run to 2017. Given their aggression on the Wi-Fi front so far, it's hardly surprising that DT would emerge as the dominant force here, and I'm intrigued to see what takes shape around this spectrum. T-Mobile is already conducting Flarion trials in The Hague, and T-Mobile Ventures is a shareholder in Flarion, as well as in mesh specialist BelAir Networks. The UK Office of the Telecommunications Adjudicator has a more upbeat assessment of the unbundling situation in March. BT's own detailed KPIs are here. The UK ain't France yet, but the updated forecast shows 250k unbundled lines expected by 30 June. Slightly off-topic, but as our overriding focus is on disruption, and we have discussed a number of industries outside telecom from time to time, this one's for you, McKinsey. A group of smart people who have an unabashed affection for UK supermarket chain J. Sainsbury have set up a group blog to identify strategic flaws and solutions to help the company dig itself out of the hole it's in. Marketing and customer service heads have certainly been given plenty to chew on over the years from the likes of the Digital Spy forums, but this is the first case I've seen in Europe of a company-specific blog which is actively trying to engage management in how to run the business better. Interesting how little attention this announcement seems to have received, possibly because the deployment France Telecom is pursuing in its home market seems fairly innocuous and non-threatening. What I would be more interested to learn is what scope there is to exploit this in the residential space in markets where FT/Orange is a bit weaker (Netherlands, UK). In the UK, where Orange and Wanadoo appear to be lining up a more coherent cross-marketing arrangement, this could be really interesting. In fact any UK operator has the spectrum to pursue this line, with the exception of Vodafone, whose license contains no TDD, and I assume from comments here that OFCOM would welcome such a development.